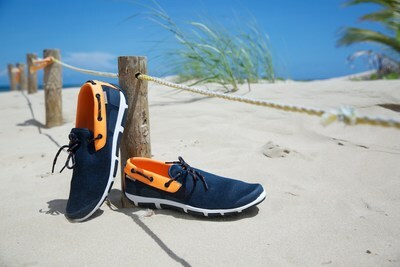 SAN JUAN, Puerto Rico, June 15, 2018 /PRNewswire-HISPANIC PR WIRE/ — NOVUS Inc. announced the launch of its new line of men’s footwear: OCEANIA. Inspired by the beauty of the Pacific and the warmth of the Caribbean waters, OCEANIA shoes are crafted for those who follow their instincts and are willing to explore, travel, and discover, like its emblematic MANTA RAY. 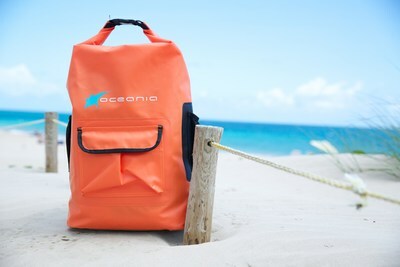 The OCEANIA line also includes accessories including waterproof backpacks. OCEANIA SHOES are created for men who are passionate about travel and with a genuine commitment to enjoy nature, culture and life. The shoes are characterized by the quality and comfort of its materials – lightweight and breathable – as well as its smart casual style that can be worn day or night. The styles and colors of the footwear go hand in hand with a lifestyle concept of summer’s pleasantries like boating, beaches, and evenings in the tropics. The footwear line competitive price point makes OCEANIA a win-win situation for men everywhere. Featuring an all new Dry bag backpack in bright orange that matches the navy orange Shore slip on style this combination is a perfect match for the active lifestyle of its customers that like to enjoy kayaking and paddle boarding. Novus Inc., a privately-owned company based in Puerto Rico, owns more than 60 stores between Puerto Rico, Dominican Republic, and the United States. Novus recently opened its first two stores in the United States at the Pembroke Lakes Mall in Pembroke Pines, FL and The Florida Mall in Orlando, FL. Merchandise can be purchased online at www.novushoes.com. Novus Inc. designs, markets, sells and manages fashion shoes and accessories via different retail store formats and internet web sites. Novus, Galeria, La Favorita, Naturalizer, Bakers, and Novus Outlet appeal to different socio- economic segments of the middle to high end consumers by sourcing directly from the best factories in Spain, Italy, Brazil, and Asia. The company was founded in 1973 with its first store Novus and then grew to 60 stores between Puerto Rico and the Dominican Republic, and the United States. Novus Inc. employs approximately 600 people in different areas from Store Operations to Purchasing with over 40 years of experience and reputation. News provided by: Novus Inc.